Various photo`s of the Austin Seven, I love these little cars! Main reason being that each one is UNIQUE. 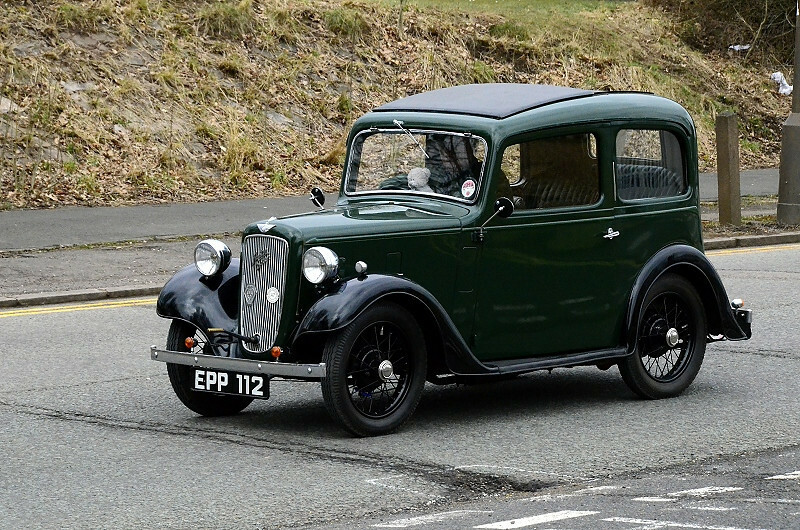 The Austin 7 was an economy car produced from 1922 through to 1939 in the United Kingdom by the Austin Motor Company. Nicknamed the "Baby Austin", it was one of the most popular cars ever produced for the British market, and sold well abroad. It wiped out most other British small cars and cyclecars of the early 1920s; its effect on the British market was similar to that of the Model T Ford in the USA. It was also licensed and copied by companies all over the world. The very first BMW car, the BMW Dixi, was a licensed Austin 7, as were the original American Austins. In France they were made and sold as Rosengarts. In Japan Nissan also used the 7 design as the basis for their original cars, although not under licence. Many Austin 7s were rebuilt as "specials" after the Second World War, including the first Lotus, the Lotus Mk1, which was based on an Austin 7. Such was the power of the Austin 7 name that the company re-used it for early versions of the A30 in 1951 and Mini in 1959.